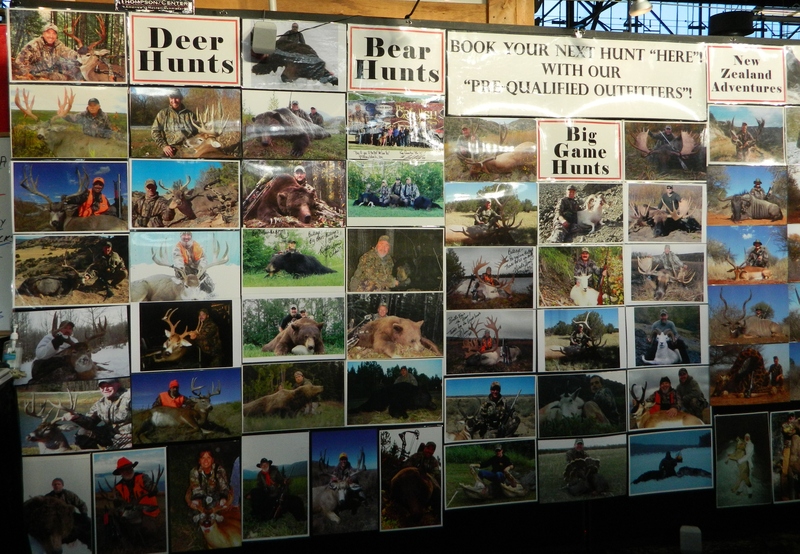 I visited the Eastern Sports and Outdoor Show in Harrisburg this week. It was a great time to reconnect with old friends, make new friends and check out a lot of cool new products designed to make our hunting life easier. 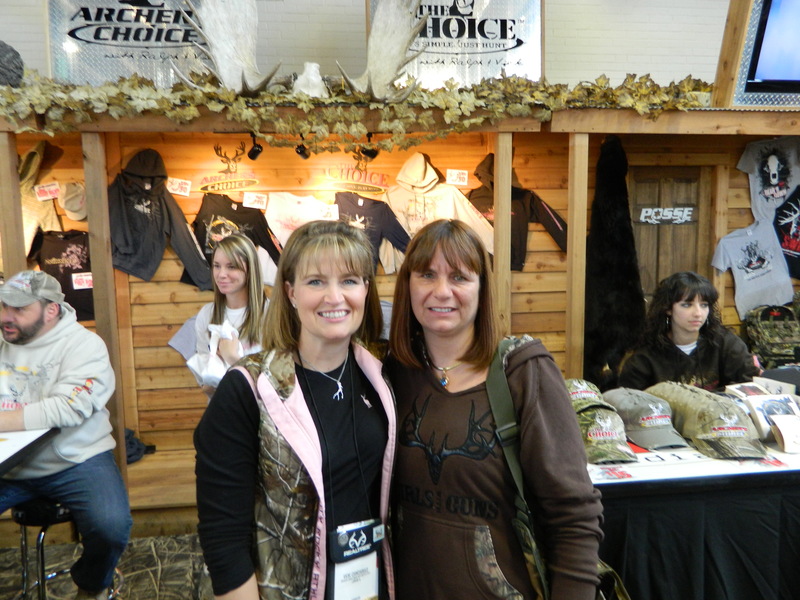 Vicki Cianciarulo and I had hunted together in Illinois, so we were able to catch up here, she is such a great person. 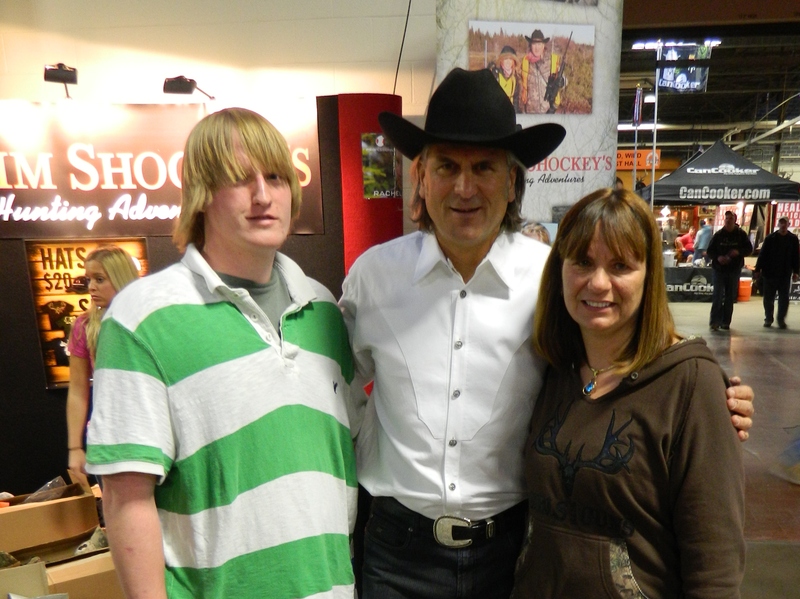 Jim Shockey and his daughter Eva were wonderful, very personable and took lots of time visiting with us. One of the booths I made sure to stop at was Bullseye Outdoor Adventures. Several of our hunts have been booked thru Russ Walker and George Winslow, and they really bend over backwards to make sure you have a good trip. I was thrilled to make the display for the show (bottom, 3rd from left) I am in really good company there! 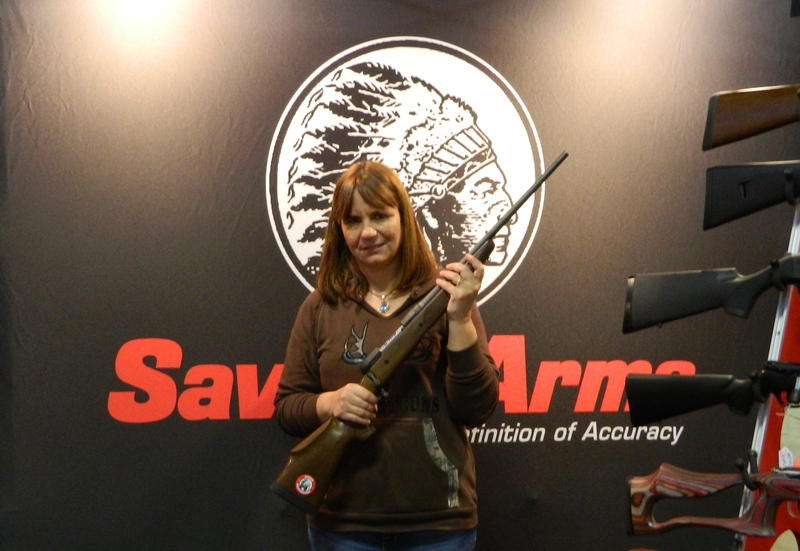 One other important stop for me was the Savage Arms booth. I just had to check out the new Lady Hunter Rifle! My husband ordered one for me in 30-06 a few weeks ago, and we are still waiting for Savage to start shipping them. But I got my hands on one, that will keep me happy until mine comes in.